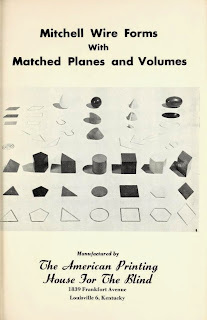 Our object this week is actually a set of objects: the Mitchell Wire Forms with Matched Planes and Volumes kit. The kit is amazing, the shapes have a silky smooth texture and are just plain enjoyable to manipulate. The original designer, Paul C. Mitchell, was Assistant Principal at the New York Institute for the Education of the Blind, where he was an influential science educator and proponent of camping activities for blind students. Introduced by APH in the fall of 1951, the set included three-dimensional, two-dimensional, and wire frame representations of common shapes such as the cylinder, sphere, cone and pyramid, each painted in bright kid-friendly colors. 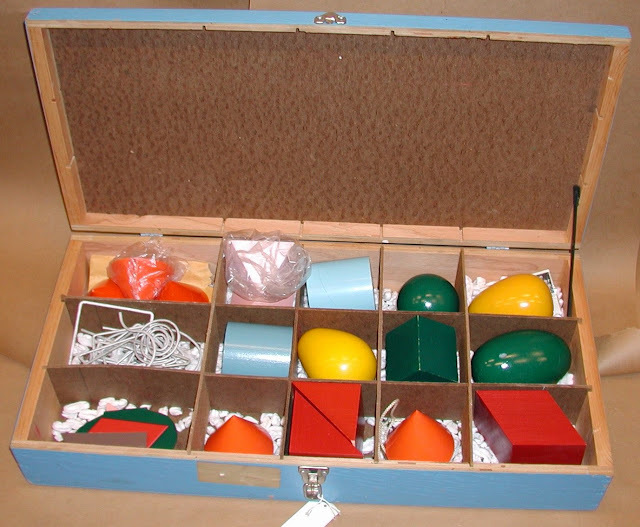 The shapes were organized into a sectioned wooden case. 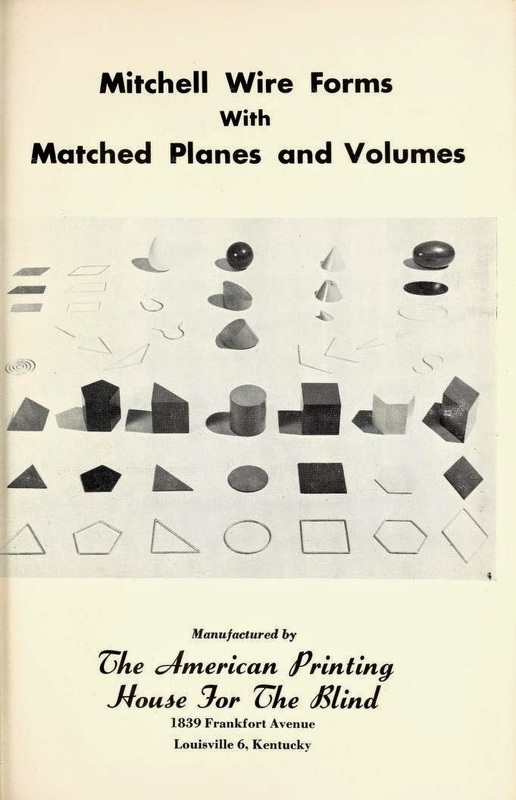 Mitchell Wire Forms, along with the wooden Constructo building set and the Graphic Aid for Mathematics, was one of the first educational aids to emerge from the post-war Printing House move into applied educational research. In the years immediately after the appearance of these pioneering tools, APH hired its first Director of Educational Research, Samuel Ashcroft, created a Committee on Tangible Apparatus, and began gradually expanding its offerings. At the time the Mitchell Forms were introduced, APH was primarily a braille book manufacturer, with smaller sections of the plant devoted to audio book production and large print textbooks. 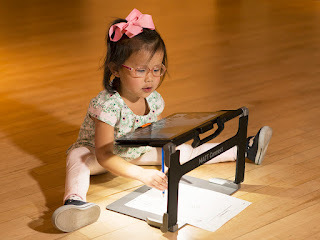 Today, the development and manufacturing of educational aids is the company’s largest line by total volume, accounting for 60% of products sold in FY2014. Sales were steady but not spectacular; selling about 74 sets a year over the life of the product. Initially the set was listed at $35.00.